In the present work, Graphene Oxide (GO) nano particles with 0.1, 0.2, 0.4 and 0.8 weight percentages (wt.% ), synthesized by Hummer method entered into the Di-Calcium Silicate (C2S) matrix (synthesized with using Pechini method and their nano structural and mechanical characteristics studied by XRD (X-ray diffraction), FTIR (Fourier transform infrared), GPS 132 A, 4- probe techniques and emission factor analyses. To study and examine GO-C2S nano composites as an environmentally- friendly Material for sustainable Development of Cement Structure 4- capacitor form, with Metal (Al) /GO-C2S composite/ Si substrate are fabricated. The quality factor and dissipation factor were measured by GPS 132 A tool. The obtained results show that sample with 0.4% wt. of GO nano particles has 0.625 fraction emission factor and higher quality factor (32.4), measured at two frequencies of 120 KHz and 1 KHz. Therefore C2S/ GO nano composite with 0.4 wt.% GONs can be therefore introduced as a good additive to reduced emission factor for production of cement and dissipation factor. Some issues such as oxidation of fossil fuels deforestation (and another land- use changes) and carbonate decomposition are threatening the people life and environment. On one hand, the global production of cement and cement-based materials have entered in undesirable living conditions and increased more than 30- fold since 1950 and almost 4- fold since 1970 [1-3]. The reason could be due to rapid development in some countries (China as an example) . Van  reported that cement production in China has grown by a factor of 12 since 1990. Andrew  estimated that India is the second- largest producer of cement. These points indicate that most contamination and environmental problems caused by cement production in developed and developing countries. It means that thinking and finding a solution to decrease environmental problems are so important. 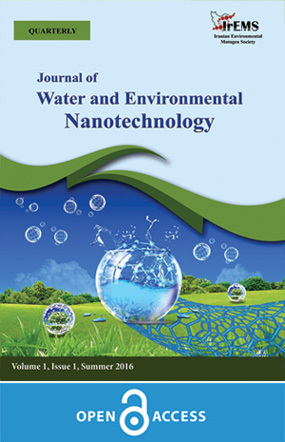 In this regard, researchers have conducted many studies on cement structure to improve cement-based material’s characteristics with noting to some aspects of cement productions: (i) The chemical reaction with some additives, such as Graphene Oxide nanoparticles (GONs) and Di-Calcium Silicate (C2S); (ii) crystallite phases and mechanical characteristics with higher quality factor (QF) and lower dissipation factor (DF). For this purpose, Graphene oxide (GO), an oxidized form of graphene has been candidate, so that the oxygenated groups were on both sides of the plate and graphene nanoparticles and/or crystallites were placed on their plate’s edges for getting hydrophilic effect and uniform distribution of this substance in the ceramic and concrete industry. Di-Calcium Silicate (C2S) compound is also one of the most important parts of these composites. In Refs. [4-9] the effect of GONs nanoparticles on the calibration reaction rate of calcium silicate compounds was studied. The use of nano-additives to improve the physical, electrical and mechanical properties of dielectric composites is an essential work. Adding GO to dielectric composites leads to significant improvement in mechanical strength, electrical, nanostructural characteristics, and a decrease in growth of a crack in composite structures (see more details in our previous work, Ref. .). In this regard, people feel that any type of development must be nondestructive, biocompatible and sustainable [10-15]. Therefore, cement structure needs to be improved and modified with enhancing the quality factor of the samples. In the present work, GONs, synthesized by the Pechini method, as additives were added in the C2S matrix. The Pechini method is a convenient method for low temperature and high purity synthesis. Then, the effect of GONs on the structure of C2S and type of its bond were studied using the FT-IR (Fourier-transform infrared spectroscopy) graph, XRD (X-ray Diffraction) analysis information. The obtained results from GPS 132 A and emission factor analysis show that adding 0.4 in wt.% of GONs to C2S leads to a more uniform distribution of GONs and lower dissipation factor, and higher quality factor which is necessary for Sustainable Development of Cement Structure. As stated above, we extracted the Oxygengraph nanoparticle from graphite oxide by using the pechini method and then synthesized the nanocomposites in order to trap GO in a dicalcium silicate network. In the latter case, the Hummer method is used for the synthesis of graphene , in that 50 ml of concentrated sulfuric acid, 2g of graphite and 2g of sodium nitrate were mixed together at room temperature and then 140 ml of distilled water and 16 ml of oxygen, 3.7g of potassium permanganate were gradually added into the above samples and stirred for more 12 hours to prevent its explosion (reaction mixture temperature was increased up to 35oC). Finally, the reaction was stopped. To produce single-layer oxide graphene, the resulting suspension was ultrasonic in 40 kHz for 30 minutes. The produced graphene was then centrifuged, washed with 3% HCl solution, and filtered 3-4 times with using Buchner funnel (and in the end, they were dried in vacuum oven at 40 °C for 24 hours ). Moreover, the calcium nitrate tetrahydrate (Ca(NO)3)2. 4 H2O. Sigma- Aldrich and silicon dioxide (40% suspensions soluble in Sigma- Aldrich) were solved and strung for 30 minutes at RT. In the next step, Citric acid (C6H8O7.H2O: Fisher) was entered into the above solution, in that the produced GONs portion reduced with tetra-ethoxylatedsilane. To make a uniform solution ethylene gigolol (EG. C2H6O Sigma- Aldrich) with molar ratio EG: CA = 2) was used and immediately after that solution stirred to full liquid evaporation at 80 to 100°C and dried for 24h in the oven. The resulting suspension is filtered and calcined for 3 h at 800 to 850°C. GO was finally formed in the structure of the trapped C2S and GO/ C2S composite. The mix proportions and sample preparation are the same procedure as reported in our recent works [17,18] and performed according to ASTMC109 standard . For improving and enhancing the quality factor, C2S with 0.1, 0.2, 0.4 and 0.8 wt.% GONs were synthesized and mixed with Portland cement (2- fold weight order). On the other hand, process emission from cement production reached a peak in 2016 at about 1.46 CO2. After China (63%), India, USA, Iran, Turkey, and Brazil account for 59.31, 6.86, 1.90, 1.76, 1.75 and 1.71% of all cement produced in the world, respectively . In addition to cited countries, the cement production in terms of million ton CO2, in South Korea (Brazil) increased from 16-30 (5-35) during 1990-2015 (1970-2010), whilst European countries have no tendency to produce cement due to negative environmental effects caused by its production [20-24]. However, cement plays an important role in the building, bridge, and so on, which demonstrated that researchers could not put cement aside. In our previous work , we pointed out that one ton of CO2 was emitted in the atmosphere in the cement production process. It is clear from below chemical reaction and FTIR analysis, the environmental prolusion and contaminations are due to cement production. To produce cement and concrete with relatively lower pollution, the effect of different nano particles additives for improvement in the characteristic of cement based materials and industry have been studied. These nano particles including montmorillonite , clay , SiO2 , Fe2O3 [26, 27], Al2O3 , TiO2 , CNT (Carbon nano tube) [15, 29], ZrO2 , ZnO2  and SiC . Therefore, for sustainable development and maintenance of environments, in the present work, nanocomposite with lower stress, better quality factor and lower dissipation factor has been studied. Some relevant techniques and analyses were applied to study the chemical reaction, mechanical, and nanostructural characteristics. The chemical structure of GO and belite with an Infrared system of Thermo Scientific Company shown in Fig. 1. The FT-IR spectra of GO and C2S (Fig. 1(a) and (b)) show three vibrational regions: the vibrations of the O-H bond of the graphene-adsorbed water molecules (at about 2800 Cm-1), the vibration C-O and the bonding vibration C-OH (at in 1227 and 1440 (Cm-1)) and the relatively large width of 1720 (Cm-1), vibrational tensile bond without carbonyl or carboxylic C = O, such as carboxylic anhydrates and ketones . In addition to the above regions, the other significant regions should be taken into account. The carbon network C = C, with changeable intensity due to the presence of the bound surface of the water peak around the wave number of 1585(Cm-1), dominated peak at the wave number of 3452 (Cm-1), O-H transplants, asymmetric tensional vibration bonds in FTIR spectra (Fig. 1), the Si-O vibrational bonds, and the shape of the peaks located at the wave number 2950, 1649, 1460, and 1110 (Cm-1), are related to the amorphous SiO2 are of importance. The mild peaks in the range of wave numbers; at wavenumber 2842 and 2330 (Cm-1) are also characteristic of the C-O and C-H groups. It also reveals that the tension bond S-H (at wave number 2353(Cm-1)) and absorption peak of the region 1649 (Cm-1) attributed to flexural vibrations of carbon dioxide, wide and moderate peak around the wave number 2330 (Cm-1) which confirmed the presence of O = C = O carbon dioxide should be analyzed with an emission factor . Of course, there is another sharp peak (at 1400 (Cm-1)) which demonstrated that calcium silicate composite with GONs related to carboxylic acid groups is successfully formed. In the range of 968 to 971 Cm-1, it is related to stretch vibration for SiO(υ3) functional group [45-47] which is no significant change between samples containing nanomaterials and the control sample. To study the effects of particle size on sample surface morphology, chemical structure and quality factor of the present samples and sustainable development potential of nano C2S/GON, as environmentally – friendly material substitutes, X-Ray Diffraction (XRD) patterns with Philips X-Ray Diffraction PW1730 was used in order to determine C2S phases and final compounds of GO/C2S composite (Fig. 2). In Eq. (3); D, β, and θ is the size of nano-crystallite, full width at half maximum (FWHM), and Bragg’s angle, respectively. The shape factor, k, (equal to 0.94) and λ (the wavelength of incident radiation, Cuka = 1.5406 Å) are known from Refs. [4, 10, 18]. In Table 3, it is clear that the stated sample has two distinct structures of gamma-dicalcium silicate and beta-dicalcium silicate, which shows a good dispersion of GON’s size regardless of the network interaction. In addition, another key factor which causes environment’s contamination is due to occurring of the stresses (caused by defects), crystalline defects. Williamson- Hall relation is therefore used for estimating strain in the samples . Fig. 3 shows FWHM of the dominated peak found with Scherer equation and X- Powder software. The network stress (Fig. 4) indicates that stresses in dicalcium silicate and C2S with 0.4 %wt. GONs are directly related to the crystal size (see Fig. 3 and Table 5). The slope of line for Beta-dicalcium silicate in Fig. 4 is positive, meaning that stresses are tensional for GO/C2S composite with C2S /GO (with 0.1%, 0.2%, 0.4%, and 0.8% wt. GO nanoparticles) show that nanocomposite with 0.4 in wt% GO nanoparticles can significantly fill C2S cavities. This point demonstrated that the asymmetric presence of GO in the C2S plates could increase the reactivity intensity of the gel C-S-H vibration peak. Moreover, as reported in Ref. , known as Hall- Petch relation, there is an inverse relationship of mechanical strength of sample with the square root of average grain diameter (d) (Eq. 5). The smaller size of the sample, the stronger mechanical structure of the sample will be formed. where σy, σ0, ky are the yield stress, materials constant for the starting stress for dislocation movement, the strengthening coefficient, respectively. In parallel to mechanical studies, the emission factor for the production of cement, Ecement, from , 4- capacitors with C2S- GONs (sandwich between Al and Si) were fabricated. The wafer capacitor surface and wafer thickness is A = 1.13 cm2 and d=100 nm and and the capacitance of the samples, measured by GPS 132 A tool. The dielectric constant (k) is calculated using the equation . The other parameters such as quality factor (QF), and dissipation factor (DF) were also measured. The results show that the maximum value of the dielectric constant for C2S +0.4 %wt. GO at the frequency of 120 and 1 kHz is k=62 and k = 30, respectively (Table 6). Higher (lower) QF (DF) value indicates a lower rate of energy loss (loss-rate of the energy of the capacitor) with respect to the stored energy of the capacitor as demonstrated in Eq. (6). The estimated the fraction emission factor, f, (Eq. 8) (by looking at XRD patterns in Figs. 2 and 3) for samples in Table 6 at 120 kHz for C2S with 0.2, 0.4 and 0.8 wt.% GONs is about 0.790, 0.625 and 0.643, respectively. where Ecem is emission factor , f is the fraction of CaO in cement, and is the molecular weight of CO2 (44.01), and the molecular weight of CaO (56.08), respectively. The obtained result is better (and lower) than that reported in Ref. . Andrew  reported that fraction emission factor with the average CaO content of cement is about 0.635. In the present work, GONs were synthesized using the Pechini method and then added to the C2S matrix, as nanocomposite materials mixed to cement (Composite/cement: ½ in wt. ratio). The presence of SiO2 groups in the chemical structure of GO has been confirmed using the FT-IR spectrum. The variety in the size of the GO/C2S of nanocrystals of composite structure can increase the effective contact surface of the composite matrix and leads to a strong bond between the network and the nanoparticle. In order to get a uniform distribution, GO particles of raw graphite were synthesized by Hammer method and then added using Pechini method in the steps of the synthesis of belite. In the synthesize procedure, due to the presence of functional groups, GO was trapped in the belite network. The results of the XRD analysis indicate keeping crystallization of nanoparticles and the presence of GO phase in the network. The emission factor for sustainable development is estimated, in that C2S+ 0.4 wt.% GONs with 32.4 quality factor and 0.03 dissipation factor and 0.625 fraction emission factor respected with other present samples has suffix- ability to reduced cement contamination as well as decreasing environmental pollution can be suggested for the future cement-based material industries. 1. Andrew RM. Global CO<sub>2</sub> emissions from cement production. Earth System Science Data. 2018;10(1):195-217. 2. H. G . Van Oss,. : Cement, in: Minerals Yearbook (various years), edited by: USGS, United States Geological Survey, available at: https://minerals.usgs.gov/minerals/pubs/commodity/cement/ index.html (last access: 12 January 2018), 1994–2012. 3. Jabari Seresht R, Jahanshahi M, Rashidi A, Ghoreyshi AA. Synthesize and characterization of graphene nanosheets with high surface area and nano-porous structure. Applied Surface Science. 2013;276:672-81. 4. Miyaji H, Kato A, Takita H, Iwanaga T, Momose T, Ogawa K, et al. Graphene oxide scaffold accelerates cellular proliferative response and alveolar bone healing of tooth extraction socket. International Journal of Nanomedicine. 2016:2265. 5. Wang H, Chen Y, Wei Y. A novel magnetic calcium silicate/graphene oxide composite material for selective adsorption of acridine orange from aqueous solutions. RSC Advances. 2016;6(41):34770-81. 6. Zhao W, Chang J. Two-step precipitation preparation and self-setting properties of tricalcium silicate. Materials Science and Engineering: C. 2008;28(2):289-93. 7. Björnström J, Martinelli A, Matic A, Börjesson L, Panas I. Accelerating effects of colloidal nano-silica for beneficial calcium–silicate–hydrate formation in cement. Chemical Physics Letters. 2004;392(1-3):242-8. 8. Hummers WS, Offeman RE. Preparation of Graphitic Oxide. Journal of the American Chemical Society. 1958;80(6):1339-. 9. Wang H, Chen Y, Wei Y. A novel magnetic calcium silicate/graphene oxide composite material for selective adsorption of acridine orange from aqueous solutions. RSC Advances. 2016;6(41):34770-81. 10. Ghaharpour F, Bahari A, Abbasi M, Ashkarran AA. Parametric investigation of CNT deposition on cement by CVD process. Construction and Building Materials. 2016;113:523-35. 11. Kafi MA, Sadeghi-Nik A, Bahari A, Sadeghi-Nik A, Mirshafiei E. Microstructural Characterization and Mechanical Properties of Cementitious Mortar Containing Montmorillonite Nanoparticles. Journal of Materials in Civil Engineering. 2016;28(12):04016155. 12. Khalili S, Khoshandam B, Jahanshahi M. Optimization of production conditions for synthesis of chemically activated carbon produced from pine cone using response surface methodology for CO2 adsorption. RSC Advances. 2015;5(114):94115-29. 13. Spence R, Mulligan H. Sustainable development and the construction industry. Habitat International. 1995;19(3):279-92. 15. ASTM C150-04. Standard specification for Portland cement. ASTM International, West Conshohocken, PA, (2004). 16. Jabari-Seresht R, Jahanshahi M, Rashidi A, Ghoreyshi AA. Fabrication and Evaluation of Non-porous Graphene by a Unique Spray Pyrolysis Method. Chemical Engineering & Technology. 2013;36(9):1550-8. 17. Shahbazi M, Bahari A, Ghasemi S. Structural and frequency-dependent dielectric properties of PVP-SiO 2 -TMSPM hybrid thin films. Organic Electronics. 2016;32:100-8. 18. Bahari A, Sadeghi Nik A, Roodbari M, Mirshafiei E, Amiri B. Effect of Silicon Carbide Nano Dispersion on the Mechanical and Nano Structural Properties of Cement. National Academy Science Letters. 2015;38(4):361-4. 19. Daemi S, Ashkarran AA, Bahari A, Ghasemi S. Gold nanocages decorated biocompatible amine functionalized graphene as an efficient dopamine sensor platform. Journal of Colloid and Interface Science. 2017;494:290-9. 25. Sadeghi Nik A, Lotfi Omran O. Estimation of compressive strength of self-compacted concrete with fibers consisting nano-SiO2 using ultrasonic pulse velocity. Construction and Building Materials. 2013;44:654-62. 26. Zhang M-h, Li H. Pore structure and chloride permeability of concrete containing nano-particles for pavement. Construction and Building Materials. 2011;25(2):608-16. 27. Haruehansapong S, Pulngern T, Chucheepsakul S. Effect of the particle size of nanosilica on the compressive strength and the optimum replacement content of cement mortar containing nano-SiO2. Construction and Building Materials. 2014;50:471-7. 28. Madandoust R, Mohseni E, Mousavi SY, Namnevis M. An experimental investigation on the durability of self-compacting mortar containing nano-SiO2, nano-Fe2O3 and nano-CuO. Construction and Building Materials. 2015;86:44-50. 29. Manzur T, Yazdani N. Optimum mix ratio for carbon nanotubes in cement mortar. KSCE Journal of Civil Engineering. 2014;19(5):1405-12. 30. Kim HK, Nam IW, Lee HK. Enhanced effect of carbon nanotube on mechanical and electrical properties of cement composites by incorporation of silica fume. Composite Structures. 2014;107:60-9. 31. Nazari A, Riahi S. The effects of ZrO2 nanoparticles on physical and mechanical properties of high strength self compacting concrete. Materials Research. 2010;13(4):551-6. 32. Nochaiya T, Sekine Y, Choopun S, Chaipanich A. Microstructure, characterizations, functionality and compressive strength of cement-based materials using zinc oxide nanoparticles as an additive. Journal of Alloys and Compounds. 2015;630:1-10.